Our compatible KX701 KX703 Ink cartridge provides quality and reliability that you get from OEM cartridge, but at a lower price. We guarantee that you will not be disappointed with our cartridge; you can expect the same page yield as from original Dell ink cartridge. 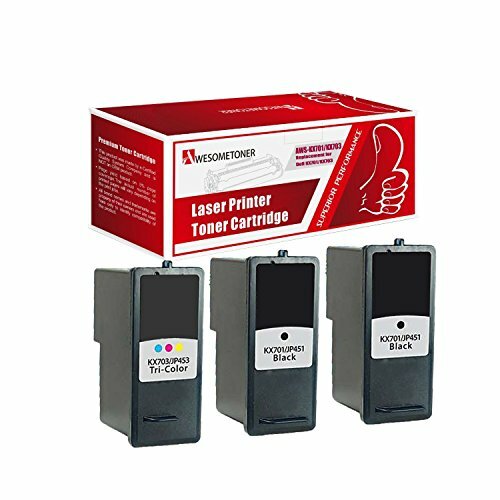 The compatible Dell cartridge is perfect for any high volume setting, allowing for speedy production while still producing quality prints. When choosing our ink cartridge, not only will you see savings, but you can also expect crisp and sharp text.